I was fortunate to read an early copy of The Promise of Forgiveness by Marin Thomas. It’s full of heart, family, and the promise of second chances. It’s her first work of women’s fiction but not her first book. Not by a long shot! Marin has written (sit down now) over 35 romances. When she approached something new, she wanted a special setting. She wanted it to be different from what readers were accustomed to—and different from what her characters expected as well. Only an author as skilled as Marin could make a dusty, rough, Oklahoma town full of bristly men a charming place to set a novel! Today, Marin shares with us how she created Unforgiven, Oklahoma, as well as advice on writing setting that really hit home for me. Please welcome Marin to WFW! I love picking a story’s location almost as much as I enjoy fleshing out the characters. More often than not I have to write the entire novel before I get a feel for the setting. With The Promise of Forgiveness the setting fell into place faster than the characters and I believe it’s because the concept for the town of Unforgiven, Oklahoma, had been fermenting in my brain for a long time. I’ve always been fascinated with U.S. history and I enjoy researching the old west. My love of history is one reason I jump at the chance to take a ghost tour when I visit new cities or towns. You never know what nugget of information, name or background of a famous person might inspire an idea for a future story. In The Promise of Forgiveness the fictitious town of Unforgiven, Oklahoma, came into being in a roundabout way. A few years ago when my husband and I were in Tombstone, Arizona, visiting the famous haunted Bird Cage Saloon, another tourist mentioned that he had taken several ghost tours throughout the state of Texas. He went on to tell us a story about a once famous historical neighborhood in Austin called Guy Town. Weeks later the name Guy Town popped into my head again (when you’re over fifty, things pop in and out of your head at an alarming rate). I Googled Guy Town, 1870-1913, and spent hours reading everything I could find, knowing that one day I’d work Guy Town or the idea of it into one of my stories. In a nutshell,Guy Town, also known as the First Ward, was a saloon district, comprising eight square blocks in Austin. It was the go-to place for women, whiskey, music and gambling. The boundaries of the neighborhood consisted of Congress Avenue to the east, the Colorado River to the south, Guadalupe Street to the west and 4th Street to the north. Today high-rise office buildings and apartments occupy the area, but its history will never be forgotten. The saloons in Guy Town were typical of those found in any city of similar size in the West during the mid-to-late 1800’s. The one thing that made Guy Town stand out was that it not only catered to reprobates but also to influential clientele due to The Texas State Capitol located right there in the city. In Guy Town state legislators and other government officials sat side-by-side with common folk drinking, gambling, and dancing with the soiled doves. For a while Guy Town was just another rowdy red-light district in Texas like Houston’s Hollow, El Paso’s Utah Street, Fort Worth’s Hells Half Acre, Waco’s Two Street, and Frogtown in Dallas, where crime and murders were commonplace. Then between 1884 and 1886 a serial killer, known as the “Servant Girl Annihilator,” terrorized the streets of Austin and Guy Town, supposedly murdering eight victims with an axe. The killer was never found. On July 15, 2014, the PBS TV show History Detective used historical research and modern techniques like psychological and geographic profiling, to help identify a probable suspect: Nathan Elgin, a 19-year-old African-American cook. Elgin worked near the original crime scenes and had a clubfoot, which was similar to a footprint left by the killer. In February 1886, shortly after the last murder, police shot and killed Elgin when he was caught attempting to assault a girl with a knife. Guy Town was shut down in 1913 after a growing sentiment among religious leaders and women’s groups against prostitution, gambling and alcohol abuse. There wasn’t a need for a serial killer in my women’s fiction, but the name Guy Town stuck with me. When I came up with the idea for The Promise of Forgiveness, I knew I wanted to create a place that catered to men and challenged the novel’s theme of forgiveness, so I filled the town with oil roughnecks and ranchers—the kind of men who would have visited Guy Town back in the day. Ruby, the heroine in my book, has a deep mistrust of men, therefore I made sure Unforgiven was a place where women weren’t welcome. Often it is only when people are uncomfortable that they acknowledge the need to change. Unforgiven is a safe haven for men. A place where roughnecks and cowboys check their morals and values at the door. The men have secrets and regrets. Their lives have been built on mistakes and bad decisions. At home the men answer to their wives or girlfriends but just like in Guy Town, there is no one in Unforgiven to hold them accountable for their actions or words. Ruby is nothing like the wives and girlfriends who are at home waiting for their roughnecks and cowboys. She is as hard as the gemstone she’s named after. She, too, has secrets and has made her share of mistakes and bad judgment calls. The town is a reflection of Ruby—unforgiving and suspicious. The best advice I can give about setting in a novel is to create a place that keeps your characters off-balance. If you give the setting it’s own voice and viewpoint, it can help guide you in creating richer, more meaningful characters. What’s the most unusual setting you’ve read in a book? Marin Thomas writes Women’s Fiction for Berkley/NAL and western romance for Harlequin books. To date she has contracted over 35 projects for Harlequin. The Promise of Forgiveness (March 2016) is her first work of women’s fiction. Marin grew up in Janesville, Wisconsin, and attended college at the University of Arizona where she played basketball for the Lady Wildcats and earned a B.A. in Radio-TV. Following graduation she married her college sweetheart in a five-minute ceremony at the historical Little Chapel of the West in Las Vegas, Nevada. Marin and her husband are recent empty nesters and currently live in Houston, Texas, where she spends her free time junk hunting and researching her next ghost tour. Want to learn more about Guy Town? My early blog where I wrote anonymously about being a single mom, dating, and life (like the main character in THE GOOD NEIGHBOR–coincidence? ), led me to writing essays for photocopied ezines, and then for newspapers and online publications. My essays led me to attempt a memoir (because whose life isn’t worthy of 300 pages? ), which led me to try fiction, which led to a book deal. Which led me to start a new blog about the kind of fiction I loved and was writing. My full circle has a point. It doesn’t matter where or how you start. It doesn’t even matter WHERE you go. It just matters THAT you go, that you keep moving, that the momentum in your writing life mimic the momentum you admire or strive for. We choose to look up blogging and take a chance on something new. We choose to use our observations about the blue sky to write an essay or a poem. We choose to tell a story that makes us laugh because we want others to laugh. We choose to spend a year, or two, or six, writing a book. Maybe writers are compelled to write, but we choose to do it. How many people have you met who say they want to write a book? My answer is always the same. “You should.” And I mean it. If you want to write a book, you should write it. Without a degree, without classes, without feedback. You have to start going if you want to go somewhere, anywhere. (I’m not suggesting that this is a good idea forever, that craft isn’t important, that knowledge isn’t king (or queen)). I’m a one POV writer. At least so far. I love multi-POV novels but it’s not something I’ve tackled in my own book-writing journey. 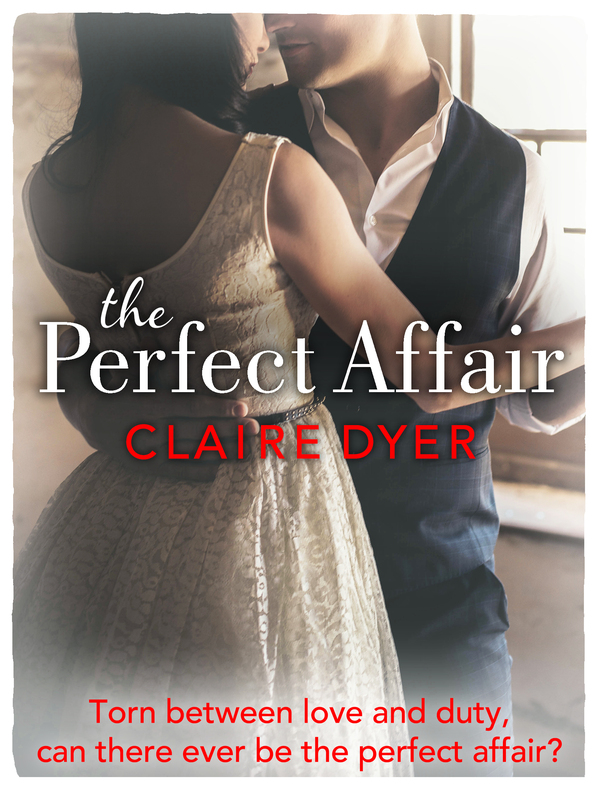 Today, author Claire Dyer shares with us some thoughts on writing a novel with multiple points of view. What are your thoughts? How do you do it? Do you stay far away from it? In the past, I’ve used short stories to experiment with POV and different literary devices and techniques. When I was reading Claire’s post I remembered I’d had a short story published that used two points of view…and I went back and read it. It was published a year before The Glass Wives (May 2013) — and I’ll be honest, it took me about a year and a half to find it a home! (So yes, I’ve always been persistent) 😉 Here’s a link if you want to read Minding Joe. But first — share your many thoughts on managing multiple points of view in the comments. And please welcome Claire Dyer to WFW! It’s summer and domestic suspense is HOT! What makes me want a guest post about domestic suspense on WFW? Because many of these novels today feature women as their protagonists, and when you read Laura McNeill’s post, you’ll see how the advice transcends any strict genre lines you (we!) may have conjured up in our heads. I mean, who doesn’t want some suspense in any novel? If all the answers are right there, why bother turning the page? My favorite bit of advice below is #7—Make Things Worse, because that’s the hardest part for me and I know how important it is. Which piece of writing advice speaks to you? Please tell us in the comments! 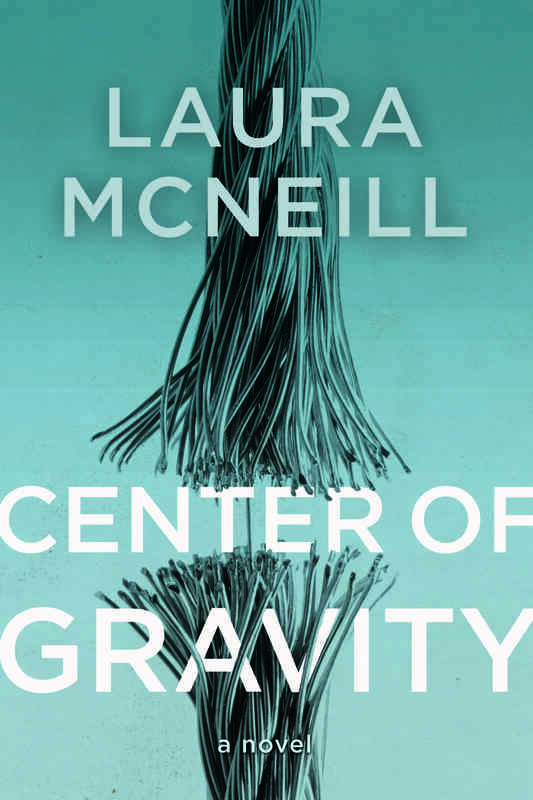 And most importantly, today is pub day for Laura’s CENTER OF GRAVITY!!! Congratulations, Laura! !